Spinal stenosis is a spinal disorder that occurs when spaces within the spine narrow; this narrowing then puts pressure on spinal nerves, which can cause symptoms ranging from none or mild or severe. Those who experience symptoms may suffer from numbness, tingling or weakness in the upper or lower extremities; have trouble with walking or balance; have pain or cramping in the legs after standing for long periods of time, or; suffer from back pain. These symptoms may worsen over time. It is possible to obtain social security disability (SSD) benefits if you are diagnosed with spinal stenosis. However, qualifying for SSD benefits with a spinal disorder is usually difficult. That’s because most people, especially as they start to age, experience back pain at some point in their lives, and many can continue working through a combination of over-the-counter treatment (pain relievers and heat packs), rehabilitative care (physical therapy, chiropractic or massages), or even sheer willpower. In addition, the SSA doesn’t consider pain level when making a disability determination, because it is too subjective and therefore doesn’t give enough information as to the true impact of the disability on the applicant’s ability to continue working. What is excruciating for one person may be tolerable for another, and vice versa. To qualify for SSD benefits based on a diagnosis of spinal stenosis, applicants must meet each of the criteria listed in the SSA’s disability blue book, with appropriate imaging to support the diagnosis and its negative effect on the ability to work. Lumbar spinal stenosis is listed as a disabling condition under section 1.04(C) of the SSA disability blue book under “Disorders of the spine.” Applicants seeking SSD benefits based on this diagnosis must prove that the spinal stenosis has impinged or inflamed a nerve emanating from the spinal cord; this nerve compression must be documented by appropriate medical imaging, such as an MRI or CT scan. 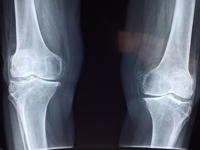 But proving the diagnosis through medical imaging isn’t enough, on its own, to qualify for SSD benefits. There must also be medical evidence that the spinal stenosis causes the applicant to experience chronic pain and weakness that does not radiate from a nerve (usually in the lower back, thighs or buttocks), and seriously interferes with the ability to walk. The inability to walk may mean requiring the use of crutches or other walking devices that use both arms, or the inability to walk at a reasonable pace or on uneven terrain. Medical evidence supporting the applicant’s level of pain and difficulty walking will be found in the medical record. It isn’t enough, however, for the doctor to write “patient experiences severe pain” or “patient has difficulty walking because of the stenosis”. Whenever possible, the treating physician should use numbers when describing the impact of the diagnosis. It not only makes for a more objective record, but paints a clearer picture of how the disability interferes with the applicant’s ability to work. Patient reports that he has severe pain radiating outward from his lower back into his right leg. This description is too generic and subjective, and gives the disability determination services (DDS) agency little information on how the spinal stenosis affects the applicant. As we said, descriptions of a patient’s level of pain aren’t enough to prove the extent of a disability and the limits it imposes on the applicant’s ability to work, because one person’s severe is another person’s mild, and even people who suffer severe pain are able to continue to work. A description like this, even if the diagnosis is supported by an MRI or CT scan, would likely result in the application being denied. Patient suffers radiating pain from his lower back 2-3 times per day, four days per week. Each episode of pain lasts anywhere from 20 – 45 minutes, during which time patient’s only relief is to lie down. Once the pain subsides, patient experiences numbness or tingling in the affected leg for up to an hour, which makes it difficult to remain seated in the same position for more than five minutes at a time. 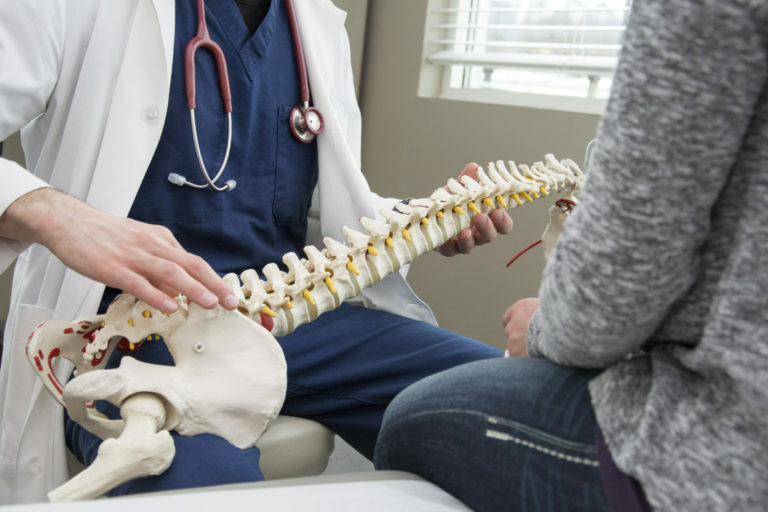 This description is much more specific regarding not only how the spinal stenosis affects the applicant, but – and more importantly – gives the DDS agent a clear picture of how it interferes with the applicant’s ability to work. The applicant in Example 2 could potentially be unable to work for 9 hours during a typical 40-hour work week due to the pain; that doesn’t include the 12 hours of distracted, intermittent work that results from the applicant having to shift positions every five minutes because of numbness following each pain episode. The DDS agent could easily see that the spinal stenosis causes applicant to miss the equivalent of 2 ½ days of work per week. Medical imaging confirming the diagnosis, coupled with detailed, number-specific descriptions of how that diagnosis interferes with the applicant’s ability to work, greatly increase the odds of approval of an application for SSD benefits based on spinal stenosis.